Now that my final 4-track effort statik 3 has been uploaded I want to pay homage to the cassette 4-track recorder that liberated the imagination of a generation of home-grown musicians. 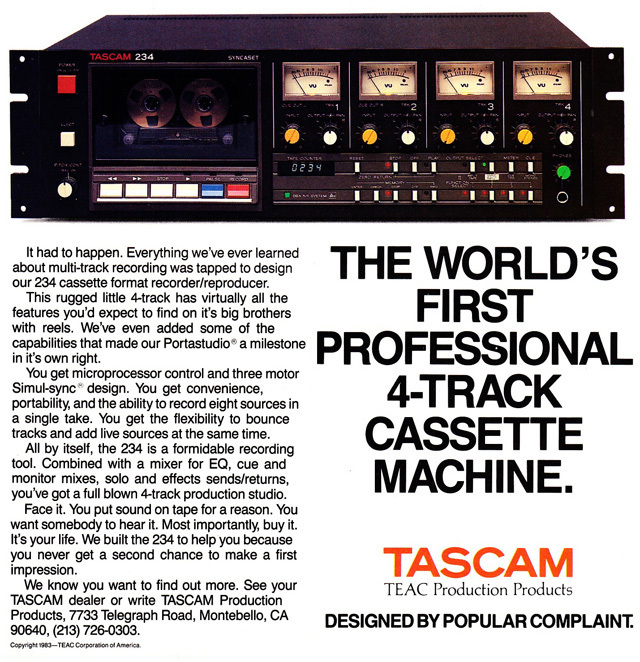 When the Tascam 234 came out in 1983 it had no equal, even up until the next decade. Just as home DAWs have revolutionized recording today, the 234 did the same by bringing affordable HiFi sound to the masses. It ran at 3-3/4 ips (rather than the standard 1-7/8 ips) using both sides of the tape which meant the recommended 60 min cassette would fly by and be done after only 15 minutes of recording. The double speed added immense fidelity and headroom over its predecessors and its built-in dBx noise reduction was a key step forward allowing home recording enthusiasts to begin approaching studio quality sound. The 234 was the central brain in my ‘studio’ from 1987-1993 and it allowed me to develop not only as a semi-competent recording engineer but inadvertently turned me into a song-writer and performer. As of this writing, all my work on this site was recorded on the 234 including statik 3, statik 2, 1616, statik 1, and resonance. Only animus was recorded on the inferior but still admirable tascam 4-track portastudio. Moreover most of the Xarrier archives were recorded on this very same 234, most notably the Wept albums including some of my personal favorites. Tracks 1+2: Record stereo drum machine while playing bass along with it. Track 3: Record rhythm guitar while singing along lead vocals. Track 4: Punch in solo guitars, sax, and any other miscellaneous sounds. Carefully arrange them so they sound like overlapping multiple tracks. Oh oh… I’m out of tracks! what next? During mix-down to 2-tracks perform back up harmony vocals karaoke-style while manipulating the sliders for the final mix. For those of us that learned to record on 4-tracks it’s like a secret handshake – respect, wink, and a nod… Today we can record infinite takes and compose the song as we record. With the 234, one had to plan the song in its entirety before sitting down to record. In retrospect this old-school discipline was an incredible training ground for a generation of home recording artists in terms of imagining how parts go together before they are ultimately recorded. Yes, our grandfathers walked 10 miles to school in the blizzard but we cut our teeth on 4 tracks of cassette and that is no myth! 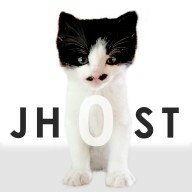 My most recent work is of course being recorded digitally on my laptop with gear that is sort of current. But I will forever have imprinted in my experience both the joy of accessible HiFi recording and the freedom within limits that the 234 offered.